This Irish crystal baby cup features an etched Celtic Trinity knot. This Celtic baby cup features an etched Trinity knot on 24% leaded crystal. The Irish crystal baby cup measures 3" tall and it is an ideal keepsake or baptism gift. 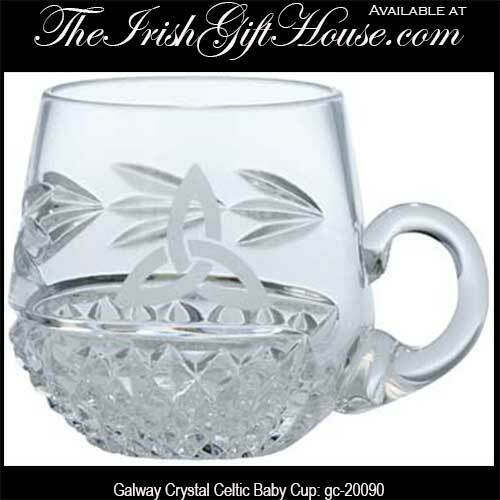 The Galway Crystal baby cup is gift boxed with a Celtic knot history card that is complements of The Irish Gift House.